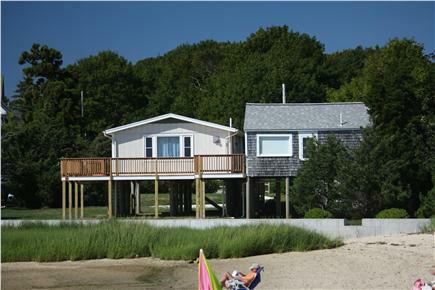 Bourne vacation rental ID 23784; 2 cottages rented together. View from the deck in between the cottages. Looking back at the cottages from Monument Beach. Queen bed in studio cottage. Love seat looks out over water. Table and couch from main cottage looking out over the water. Queen Bed in main cottage. Twin Beds in main cottage. Studio cottage on left, main cottage on right; rented together. Waterfront cottages on Phinney's Harbour in the Monument Beach village of Bourne. 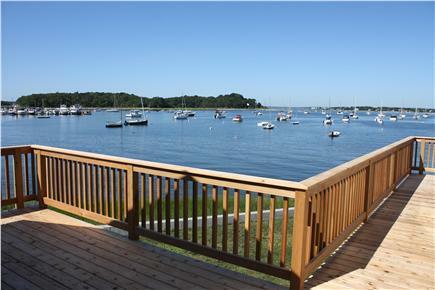 Conveniently located 5 minutes away from the Bourne Bridge. Swim and kayak right from the yard. Public beach with a lifeguard to one side of the property, a small neighborhood of private beaches to the other side. Down the road from a children's playground and basketball and tennis courts. Short walk to the village center with a bakery, pizza shop, convenience store and home-made ice cream shop. 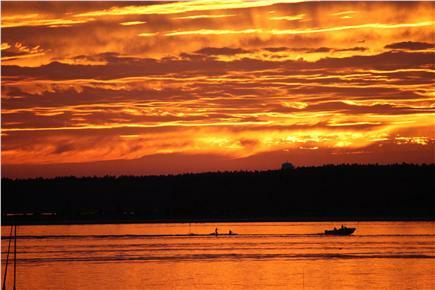 One mile to the Cape Cod Canal bike paths, 20 minutes to Falmouth and 30 minutes to Woods Hole. 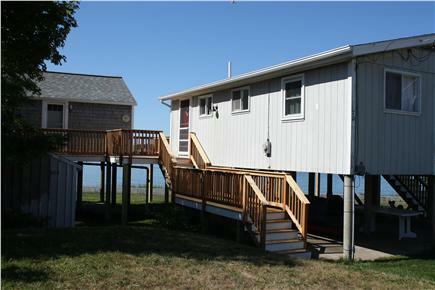 These are two small cottages that are connected by a common wrap around deck. Altogether, there are three bedrooms with sleeping for six. The main cottage has the kitchen, dining and living and two bedrooms. The larger bedroom has a queen bed, the smaller bedroom has two twin beds. There is also a small bathroom that has a tub and shower. 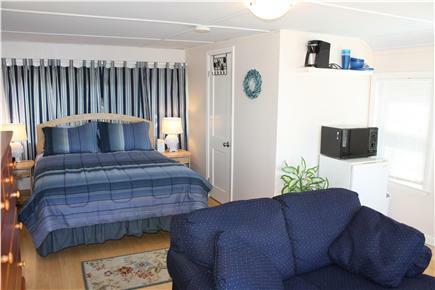 The studio cottage has a queen bed, along with its own small fridge, Keurig and microwave. The 3/4 bathroom in the studio includes a shower. Altogether, there is sleeping for 6 between the two cottages. The cottages are rented together as one unit. There is a grill and outdoor furniture for sitting and eating, as well as an outdoor shower for rinsing off after being in the water or the sand. 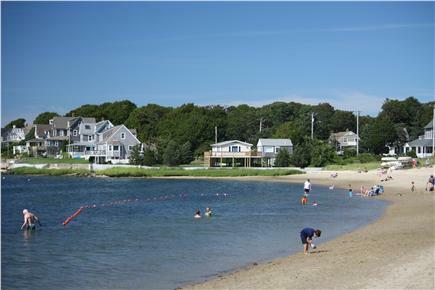 The 1/3 acre lot is at the end of Monument Ave and also happens to be adjacent to the town public beach, called Monument Beach. Fantastic family getaway. Relaxing, fun, and private. We have stayed here multiple times and it has been perfect for our two families. The property is private with your own beach access. The two cottages are clean and accommodating. We were able to prepare our own meals on site or located close enough to restaurants to eat and then come back and take the kayaks out for a paddle in the bay. The Hosts were fantastic and it felt like your own private paradise.